Do you have to buy HUD homes through a realty agent? You can only purchase a U.S. Department of Housing and Urban Development property through a licensed real estate broker. HUD will pay the broker's commission up to 6 percent of the sales price. Are foreclosures an option? A foreclosure property is a home that has been repossessed by the lender because the owners failed to pay the mortgage. Thousands of homes end up in foreclosure every year. Economic conditions affect the number of foreclosures, too. Many people lose their homes due to job loss, credit problems or unexpected expenses. It is wise to be cautious when considering a foreclosure. Many experts, in fact, advise inexperienced buyers to hire an expert to take them through the process. It is important to have the house thoroughly inspected and to be sure that any liens, undisclosed mortgages or court judgments are cleared or at least disclosed. What types of foreclosure are there? Judicial foreclosure action is a proceeding in which a mortgagee, a trustee or another lienholder on property requests a court- supervised sale of the property to cover the unpaid balance of a delinquent debt. Nonjudicial foreclosure is the process of selling real property under a power of sale in a mortgage or deed of trust that is in default. In such a foreclosure, however, the lender is unable to obtain a deficiency judgment, which makes some title insurance companies reluctant to issue a policy. How do you find government-repossessed homes? The U.S. Department of Housing and Urban Development acquires properties from lenders who foreclose on mortgages insured by HUD. These properties are available for sale to both homeowner-occupants and investors. You can only purchase HUD-owned properties through a licensed real estate broker. HUD will pay the broker's commission up to 6 percent of the sales price. Down payments vary depending on whether the property is eligible for FHA insurance. If not, payments range from the conventional market's 5 to 20 percent. One caution. HUD homes are sold "as is," meaning limited repairs have been made made but no structural or mechanical warranties are implied. Can I get a HUD home for as little as $100 down? If you are strapped for cash and looking for a bargain, you may be able to buy a foreclosure property acquired by the U.S. Department of Housing and Urban Development for as little as $100 down. With HUD foreclosures, down payments vary depending on whether the property is eligible for FHA insurance. If not, payments range from 5 to 20 percent. But when the property is FHA-insured, the down payment can go much lower. Each offer must be accompanied by an "earnest money" deposit equal to 5 percent of the bid price, not to exceed $2,000 but not less than $500. The U.S. Department of Veterans Affairs also offers foreclosure properties which can be purchased directly from the VA often well below market value and with a down payment amount as low as 2 percent for owner-occupants. Investors may be required to pay up to 10 percent of the purchase price as a down payment. This is because the VA guarantees home loans and often ends up owning the property if the veteran defaults. Where can you find foreclosures? In most states, a foreclosure notice must be published in the legal notices section of a local newspaper where the property is located or in the nearest city. Also, foreclosure notices are usually posted on the property itself and somewhere in the city where the sale is to take place. When a homeowner is late on three payments, the bank will record a notice of default against the property. When the owner fails to pay up, a trustee sale is held, and the property is sold to the highest bidder. The financial institution that has initiated foreclosure proceedings usually will set the bid price at the loan amount. Despite these seemingly straightforward rules, buying foreclosures is not easy as it may sound. Sophisticated investors use the technique so novices may find themselves among stiff competition. What happens at a trustee sale? Trustee sales are advertised in advance and require an all-cash bid. The sale is usually conducted by a sheriff, a constable or lawyer acting as trustee. This kind of sale, which usually attracts savvy investors, is not for the novice. In a trustee sale, the lender who holds the first loan on the property starts the bidding at the amount of the loan being foreclosed. Successful bidders receive a trustee's deed. Where do I learn about HUD foreclosures? 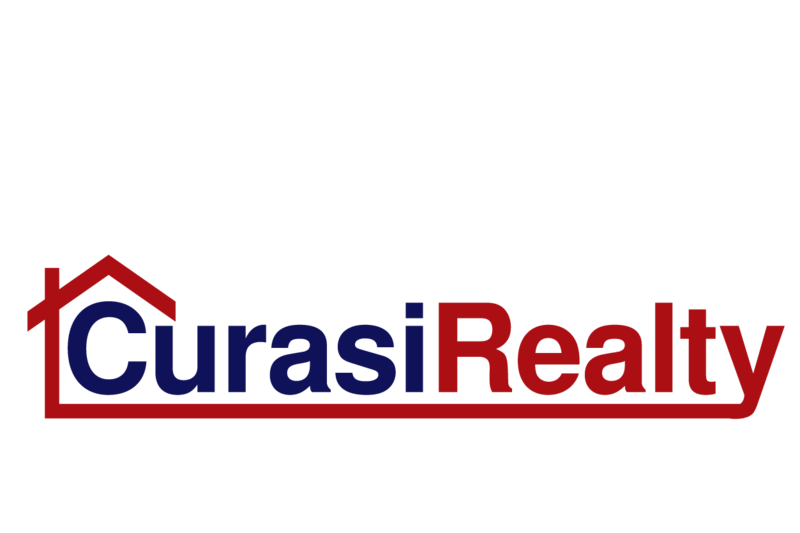 Contact Curasi Realty and another good source is their Web page http://www.hud.gov. What are problems buying foreclosures? Buying directly at a legal foreclosure sale is risky and dangerous. It is strictly caveat emptor ("Let the buyer beware"). The process has many disadvantages. There is no financing; you need cash and lots of it. The title needs to be checked before the purchase or the buyer could buy a seriously deficient title. The property's condition is not well known and an interior inspection of the property may not be possible before the sale. In addition, only estate (probate) and foreclosure sales are exempt from some states disclosure laws. In both cases, the law protects the seller (usually an heir or financial institution) who has recently acquired the property through adverse circumstances and may have little or no direct information about it. What about buying a foreclosure "as is"? Buying a foreclosure property can be risky, especially for the novice. Usually, you buy a foreclosure property as is, which means there is no warranty implied for the condition of the property (in other words, you can't go back to the seller for repairs). The condition of foreclosure properties is usually not known because an inspection of the interior of the house is not possible before the sale. In addition, there may be problems with the title, though that is something you can check out before the purchase. How do you get financing for a foreclosure? One reason there are few bidders at foreclosure sales is that it is next to impossible to get financing for such a property. You generally need to show up with cash and lots of it, or a line of credit with your bank upon which you can draw cashier's checks.